Explanation: How does your galaxy grow? Quite contrary to a typical galaxy, this one needs water to flourish. 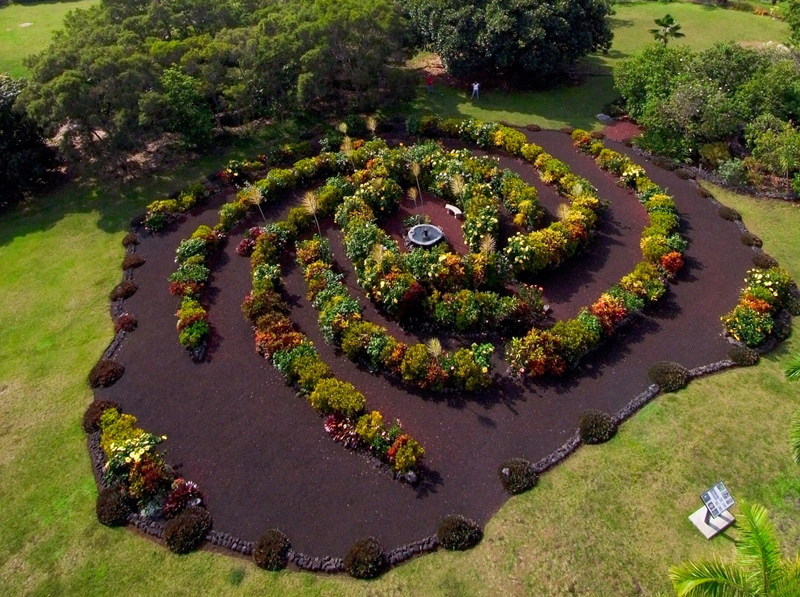 Pictured above as it appears at the Paleaku Peace Gardens Sanctuary in Kona, Hawaii, USA, a meticulously planned garden spanning about 30 meters provides a relatively accurate map of our Milky Way Galaxy. Different plants depict stars, globular clusters, and even nebulas. Many bright stars visible in Earth's night sky are depicted on leaves surrounding the marked location of the Sun. Plant rows were placed to represent arms of our Galaxy, including the Sun's Orion Arm, the impressive Sagittarius Arm, and the little discussed Norma Arm. A small bar runs through our Galaxy's center, while a fountain has been built to represent the central black hole. What a stellar use of space!